Today we are exposed to more noise, pollution, and life challenges than ever before, creating a potential overload that can threaten our wellness, mental alertness and happiness. 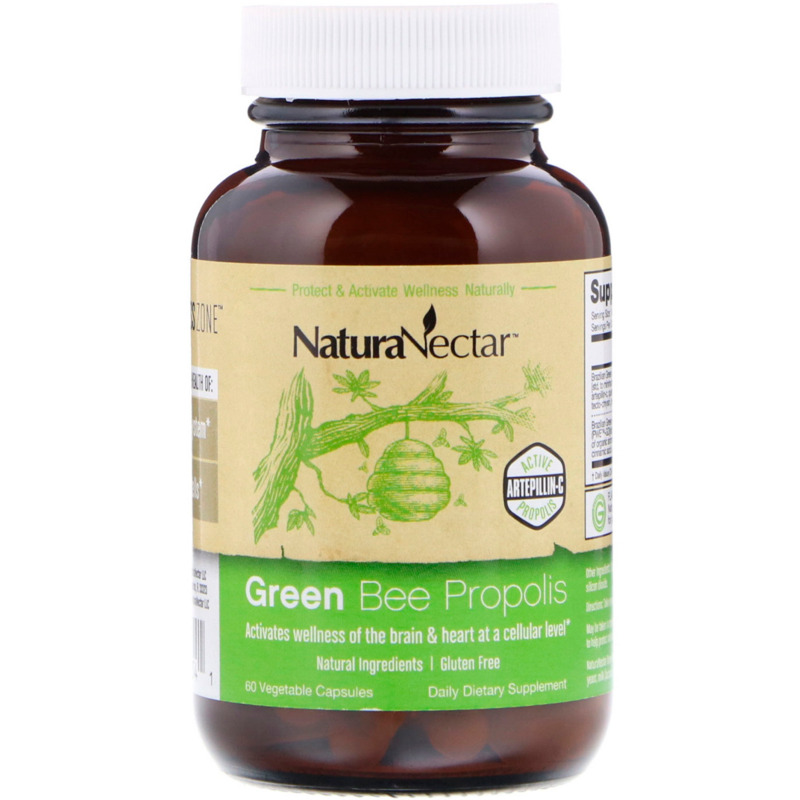 Like the bees that protect their hives and health with their propolis, NaturaNectar's Green Bee Propolis supplement can support your health. 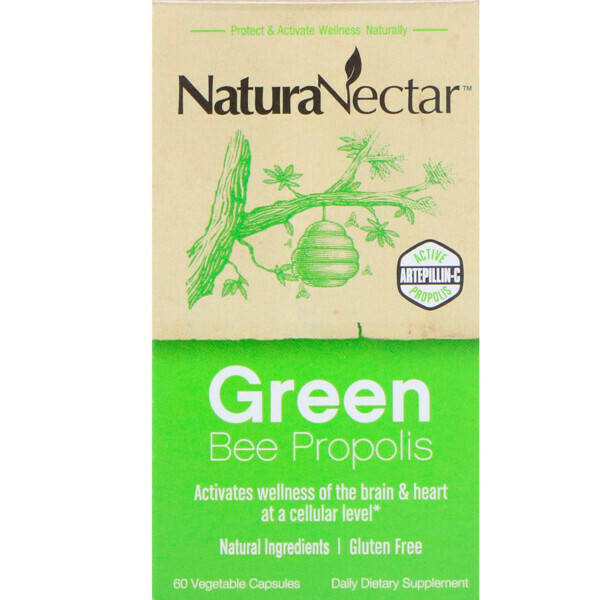 Featuring 100% Brazilian Ultra-Green Bee Propolis, a natural source of acclaimed active compound Artepillin-C, NaturaNectar Green Bee Propolis is appreciated for its therapeutic properties backed by hundreds of scientific studies indicating the benefits of its flavonoid content and antioxidant activity. 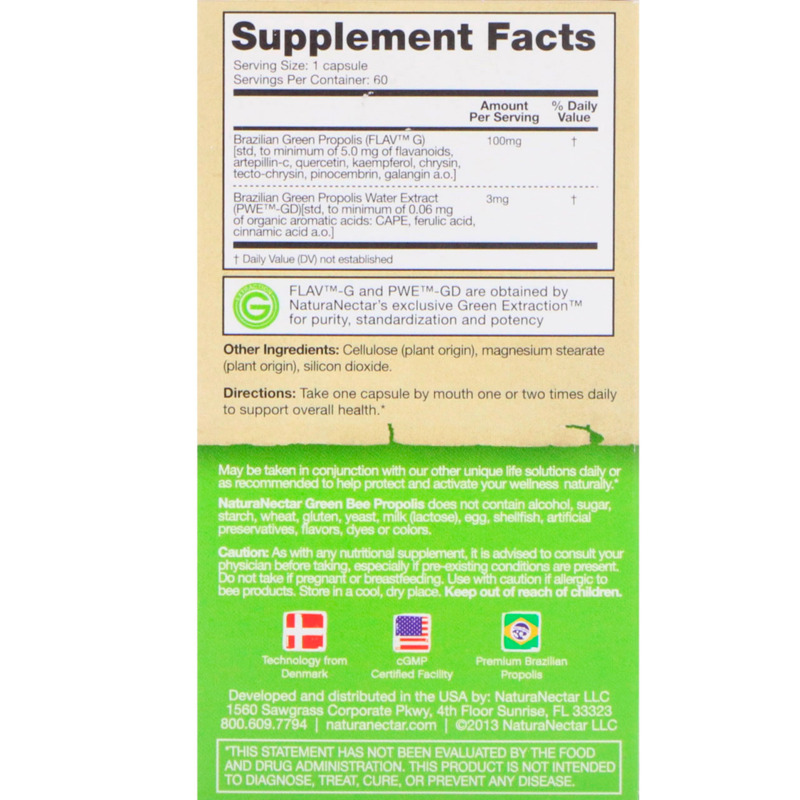 It supports heart and circulatory health, maintains healthy blood sugar levels when used as part of a healthy diet, supports healthy blood pressure levels that are already within normal range and protects delicate nerve cells and overall brain health. At NaturaNectar, we understand the nature and science behind the beehive and find our inspiration there. With the same focus and dedication of the honeybees to build sustainable and productive hives with their propolis, our company is dedicated to bringing you wellness products imbued with the same protective propolis to help you live an active and healthy life. We commit our corporate resources to the vital research needed to ensure that honeybees continue to be nature's true marvels as well as supporting the surrounding communities that help harvest our bee propolis in a sustainable way. NaturaNectar's sister company ALMAR Apiary is located in beautiful Brazil, the home of the verdant rain forests, where the world's finest and purest bee propolis is harvested. Our ground breaking and effective products are sourced for you directly from the Brazilian honeybees and their bio diverse forests! Take one capsule by mouth one or two times daily to support overall health. Cellulose (plant origin), magnesium stearate (plant origin), silicon dioxide. NaturaNectar Green Bee Propolis does not contain alcohol, sugar, starch, wheat, gluten, yeast, milk (lactose), egg, shellfish, artificial preservatives, flavors, dyes or colors. Caution: As with any nutritional supplement, it is advised to consult your physician before taking, especially if pre-existing conditions are present. Do not take if pregnant or breastfeeding. Use with caution if allergic to bee products. Store in a cool dry, place. Keep out of reach of children. FLAV-G and PWE-GD are obtained by NaturaNectar's exclusive Green Extraction for purity, standardization and potency.